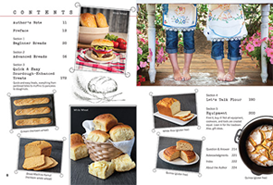 If you scroll down on the main chatroom page, there is a heading titled �Wild Bread Products FOR SALE�. There is a link to the flour-sack apron pattern under that heading. Hi Tari, and welcome to the chatroom. Which flour are you thinking of using for your mother? 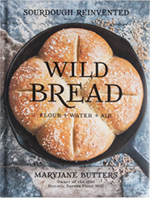 Even though it isn't one of the flours used in the book, I know that rye is a popular choice for sourdough breads. I've always wanted to try it, but haven't yet. I'm looking forward to hearing how your mother turns out!